At this step of the wizard, specify the restore options. 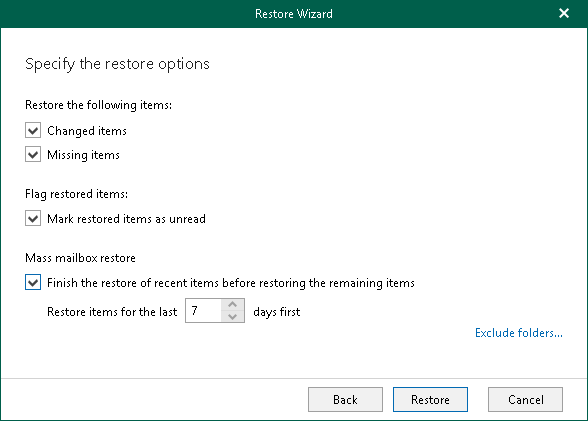 When restoring multiple mailboxes, select the Finish the restore of recent items before restoring the remaining items checkbox and set the value in the Restore items for the last <N> days first field — to restore multiple mailboxes in “chunks”, when most recent items in the backup will be processed first. To prevent certain folders from being recovered, click the Exclude folders link and select folders to exclude.